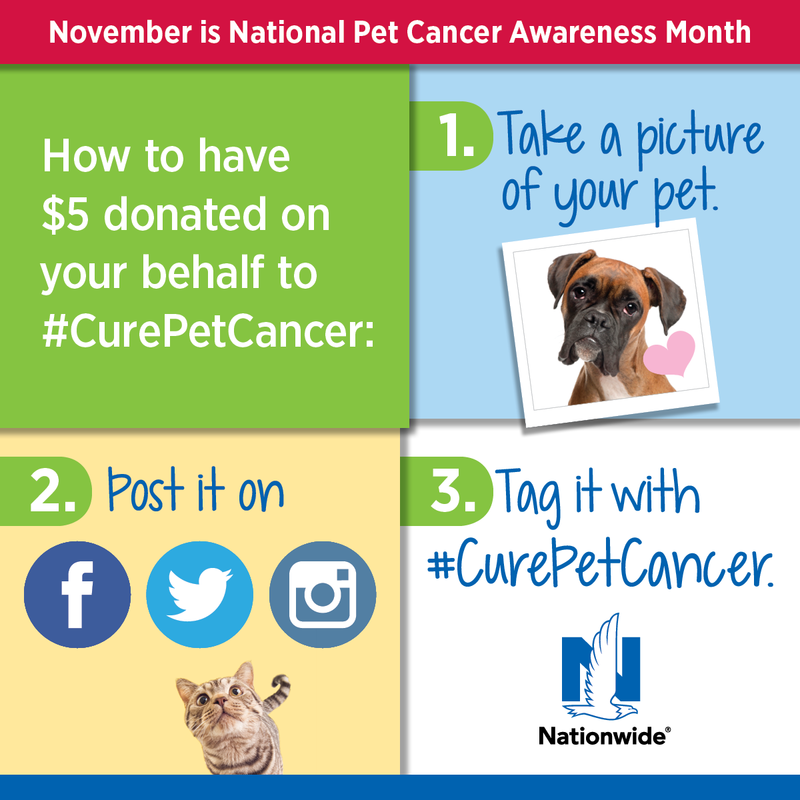 November is National Pet Cancer Awareness Month and Nationwide is partnering with the Animal Cancer Foundation (ACF) to increase awareness and raise funds to fight the number one disease-related killer of dogs and cats. Last year, Nationwide, the nation’s first and largest provider of pet health insurance, received more than 67,000 pet insurance claims for cancer diagnosis and treatment in pets, making cancer-related conditions one of the most common types of medical claims. In fact, last year Nationwide pet insurance members accumulated more than $20 million in medical expenses for the top 10 pet cancer-related conditions. In a continuing effort to educate pet owners about the prevalence, detection and treatment of pet cancer, Nationwide recognizes November as National Pet Cancer Awareness Month.